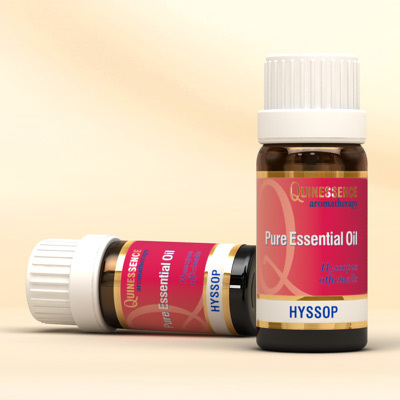 Hyssop Essential Oil has a stimulating action on all systems of the body, making it a useful addition to detox programs and to boost the immune system. In massage blends its antispasmodic properties helps ease muscle cramps, spasms and tickly coughs, whilst its powerful soothing action eases the digestive system as well as reducing bumps and bruises. The strengthening and cleansing action of hyssop is particularly valuable for the emotional system when dealing with negative emotions such as grief, guilt or jealousy. Avoid use if you are pregnant or suffer from epilepsy.